The purpose of this website is to introduce you with the electric bicycle world and every other electric vehicle which doesn't require any licence, insurance or paying any other taxes. Electric motorcycles or electric cars will be mentioned but only briefly, as they are not included in this free licensing and taxes zone. Riding a bicycle is a source of great pleasure. Many people just love riding their bicycle. When you have to think about something, when you are searching for a solution, when you want to relax and when you are looking for freedom, riding a bicycle can be the answer. The bicycle offers so many advantages over other means of transportation. It is truly a magical man-made vehicle. Despite all of this, not everyone is capable of riding a bicycle. Let it be their fitness level, physical condition, too much hills, strong headwinds, too long distances or bad weather conditions. But, electric bicycles can solve all this problems. You decide just how much you want to pedal. An electric bicycle can give you all the freedom that you need. Riding a good quality electric bicycle is so much fun. 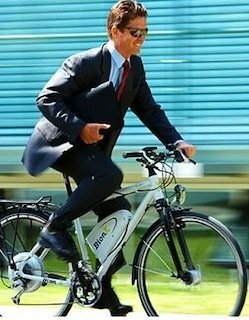 The electric bicycle give you what I call - the "super-man" effect. It just when the battery run out of juice that you suddenly realize again that you are still just a human being . But riding a low quality electric bicycle can be a disappointing experience. The electric bicycle industry is still young and there are a lot of second class products and suppliers in the market. I want to to help you by giving an accurate, reliable and helpful data on electric bicycles. This website is about helping you to decide whether an electric bicycle suit you or not, and also to guide you on your way to make the best purchasing choice if you have decided to buy an electric bicycle. 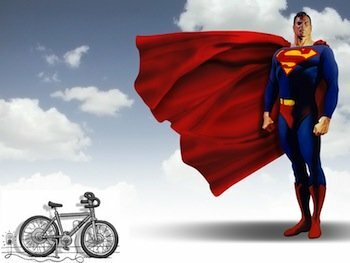 This site is not formal and I'm not going to use any high language or too complex technical terms but I do want you to get out of here with enough knowledge on how to take care of you bicycle, what are the different models, what is the current policies and trends worldwide and much more. Warm Introduction: A quick introduction to get you familiar with the electric bike world. Benefits: Understand what are the advantages for you and for you environment. Structure: Overall overview of the different parts - for beginners and pros. Types: What are the models that exists in the market. Choosing: Know how to choose the most suitable model for your needs. Maintenance: The right way to taking care of your bicycle. Reviews: Detailed reviews about different kinds of e-bicycles and conversion kits. Concepts: What are the latest designs? What is the next big thing? Homemade: How to build your own e-bike. Around the world: Predictions, statistics, news and more. Should you aim for an off-the-shelf eBike, a conversion kit or an homemade eBike? 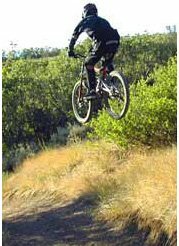 Get knowledgeable about the electric bicycle parts considerations. What kind of console features do you need? Required performance: What is your ideal e-bike weight? Weight calculator. How much motor power? Motor size calculator. How much range will you get? Battery capacity calculator. What to check: Check your country's law. Pay attention to propulsion type. Used or new? Online dealer or brick & mortar store? China? Check the offered warranty, level of support and cost. The pros & cons of cheap eBikes and the pitfalls to avoid. Buying a new bike: Go over the reviews, hall-of-fame to find the perfect e-bikes. If you want an e-bike but your partner doesn't, click here. Compare & test-ride as many e-bikes as possible and buy your perfect e-bike. After buying: How to ride an eBike? What maintenance is needed? How to diagnose problems? Get knowledgeable about safety precaution and legal stuff. Customize your e-bike and consider a green power source. I promise to use it only to send you Electric Bicycle Guide e-zine.